Kúty, a small town in Slovakia on the mainline between Bratislava and Prague in the Czech Republic. Rügen in the former GDR. 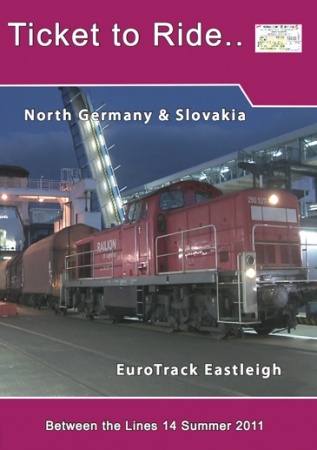 The island has an extensive rail network that has recently been modernised and includes one of the least known train ferries in Europe – Sassnitz to Trelleborg. There is also a narrow gauge steam railway based on Binz. We stay in the area for a look at the Baltic port of Rostock – not the most obvious holiday destination but actually very pleasing. At Rostock we also look at the commercial port- the most important in the old East German State. Our fourth chapter is from the UK- our annual pilgrimage to Eurotrack where there were some wonderful layouts set on either side of the pond and indeed beyond!